As soon as they are in season we get the best British Tulips in stock. Our clever UK growers supply us with lots of colours and shaped varieties, from frilly edged to parrot and double flowered which open up like water lilies. If you have any preference for bright colours or require a pastel mixture then just let us know and we will select accordingly. Because they keep on growing towards the light tulips will naturally bend towards the sunshine, if you like we can add some twigs for support. Alternatively you could put them into an oversized vase and let them grow around within it. We'll supply them in a clear glass vase so you can see when to top up the water but dont give them too much or they will go even more wayward! 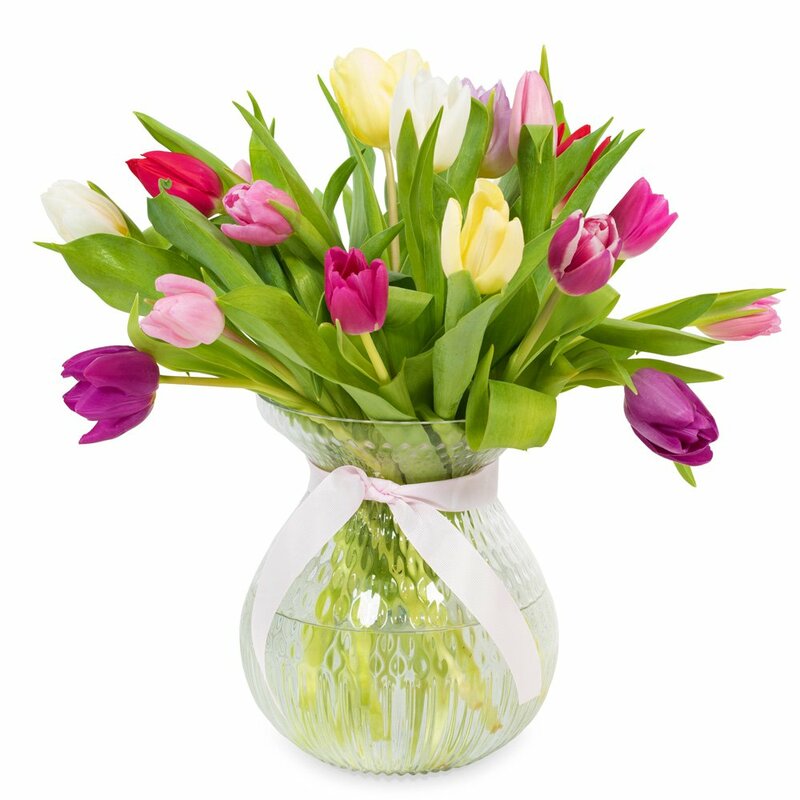 An inch or so at the bottom of the vase is enough, just top up daily with cold water.